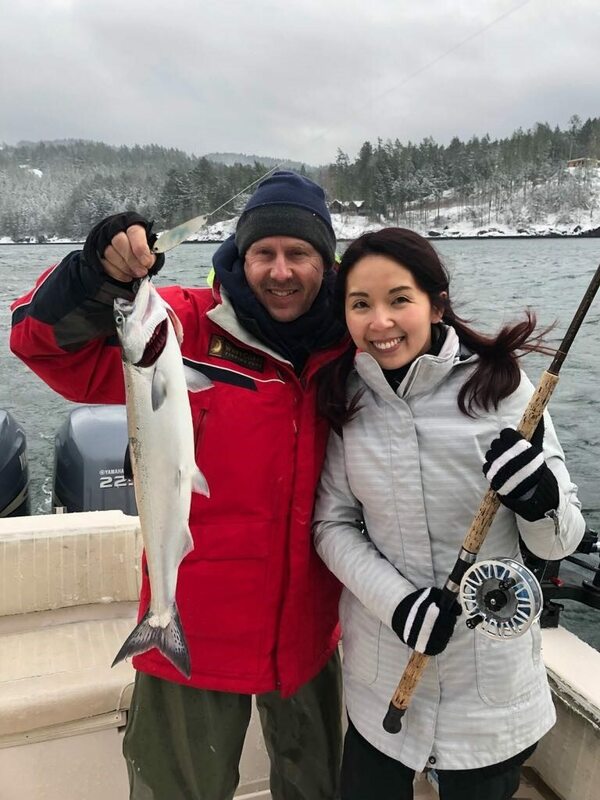 Captain Eddie’s guests had some great winter chinook fishing in some true winter conditions! Looks like the cold weather is gone for now. Do I dare say it is gone for the season? Time to start on the boat maintenance pretty quick. Don’t wait until April or May or you will miss some of the best chinook fishing of the season. We were working on our boats yesterday and at one point had the jackets off and short sleeve shirts on! The fishing can be described in one word. Consistent. If you put your time in the rewards will come. The usual suspects have been producing well, such as glow flashers and glow spoons like the Skinny G, Kingfisher and G-Force. For details on flashers and spoons, scroll through previous reports as they have been covered in detail in the past. Where to go? 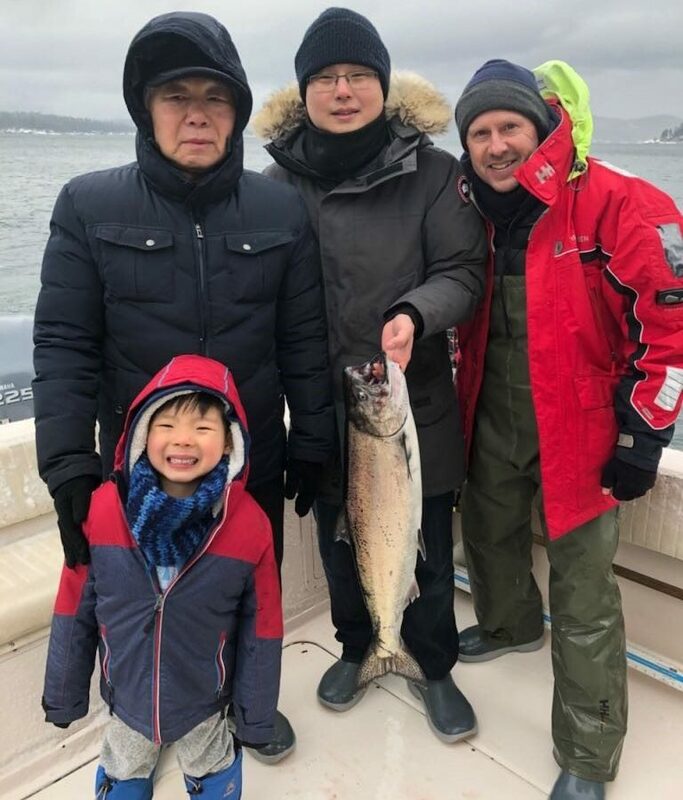 Well there was fish in Howe Sound and Vancouver Harbour this week and with winds light in the forecast the Gulf Islands would be a good bet this weekend as well. It is 5:30 in the morning as I am writing this report and just about to leave the house and head down to the dock. We have multiple boats out the next few days, so make sure to follow us on Instagram and Facebook for real time reports, photos, and videos. If you are looking for some good deals we just setup a 40% OFF saltwater wall at the shop and there are some great hootchies and spoons on there. 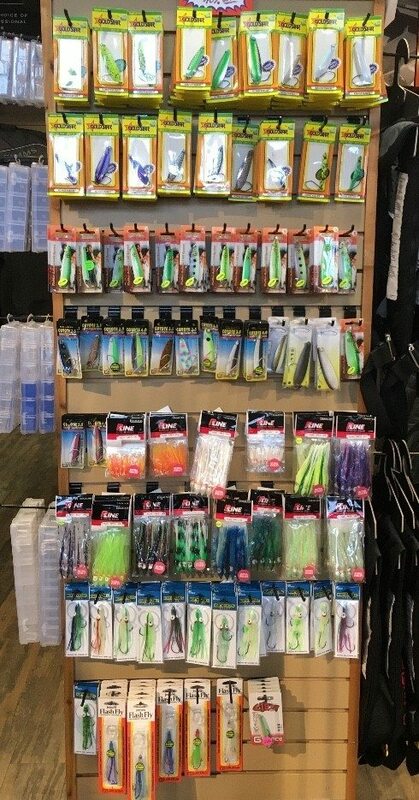 All good producers, but we are re-merchandising the saltwater section and we just couldn’t fit everything on the wall.